As an athlete, it is important to visit a general dentist on a regular basis. Keeping teeth healthy is the first line of defense against them becoming damaged while playing sports. When teeth become infected or gum disease is in the mouth, teeth are weakened and more likely to fall out or break when bumped into. Regular teeth cleanings twice a year can help to prevent oral infections by removing bacteria and plaque before it has the opportunity to create problems. If we identify any signs of cavities during these dental exams, we can treat them right away before they can create additional problems. 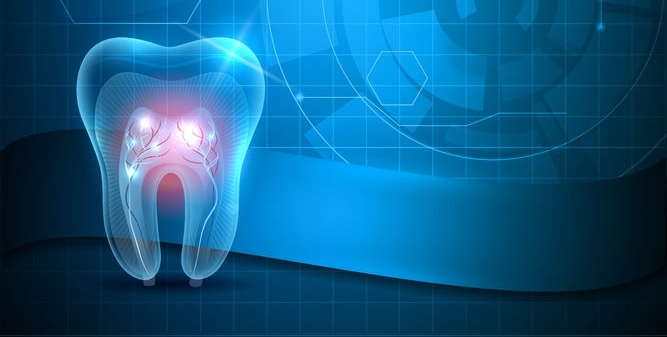 This is an important step in keeping teeth healthy and strong. At home, you can help your teeth to stay in good shape by brushing with fluoride toothpaste and regularly flossing. It is also important to drink plenty of water so that your body can produce the saliva it needs to wash away bacteria and food particles. A healthy diet can also strengthen teeth and should include green leafy vegetables, crunchy fruit and veggies, nuts, dairy, and lean protein. Eating these foods will help to re-mineralize teeth so that they can be strong and withstand the effects of a sports injury. In our general dentist office, we also recommend that patients wear a mouth guard while playing sports. We can create one with the perfect fit that can be worn when practicing or playing a game. A mouth guard will hold the teeth in place and absorb some of the shock when hit. The American Dental Association has stated that over 200,000 high school and college football players are protected from injury every year, due to mouth guards. They can be used in other sports as well and should be. In fact, the University of California found that 11 out of every 100 basketball players reported dental injuries over the course of nine years at the school. Basketball players are not required to wear mouth guards, and most don’t. By simply wearing them, like their football peers, many basketball players could avoid injury. Mouth guards can be worn by younger children, as well. If your child is in elementary and playing basketball, baseball, soccer, football or any other sport, wearing a guard can protect their teeth. This is incredibly important because youth have fewer options when it comes to replacing teeth than adults too. Additionally, no parent wants to see their child suffering or in pain. When faced with the option of wearing a guard or having a tooth fall out – wearing a guard is significantly better and less invasive. For athletes whose teeth do become damaged in a sporting accident, we can correct and restore them. As a general dentist, we have several options for doing so. We can use dental veneers to correct cracks and chips, dental crowns to restore teeth that have lost a lot of enamel or have a severe crack, and dental implants and bridges that can replace missing teeth. To keep your teeth safe, start by scheduling a dental exam and teeth cleaning.